Yesterday I had pre-operation screening: a few more scans and X-Rays for the surgeon. Afterwards, Phil and I met Jan at the newly opened northern section of the High Line. 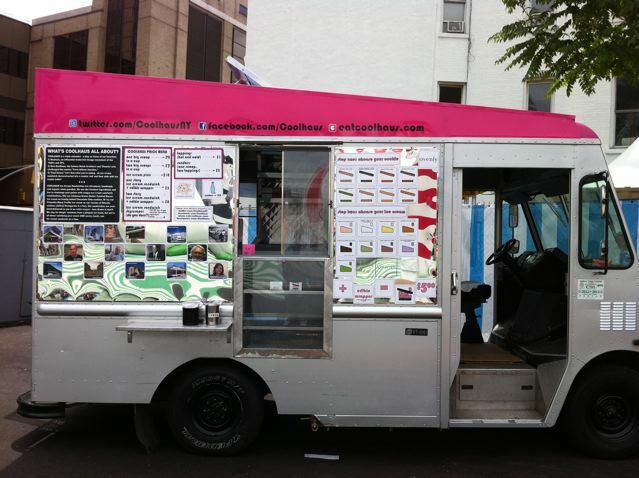 In a parking lot on 30th Street and 10th Avenue there are a number of food trucks and picnic tables set up for visitors. 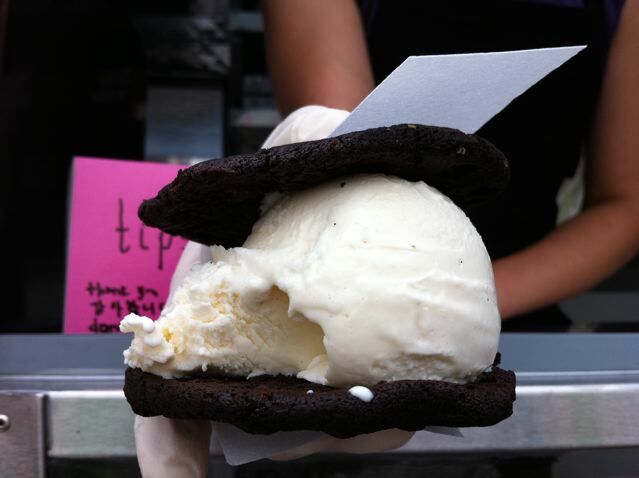 I've been wanting to try the ice cream sandwiches from Coolhaus. You choose your cookie type and ice cream flavor and then they make it for you. I had vanilla with chocolate cookies. The edible wrapper looks delicious. I wish I liked ice cream. Except, I remember really liking Jersey Shore fresh waffle ice cream sandwiches. It was fresh hot waffles sandwiching a slice of neapolitan ice cream with powdered sugar sprinkled on top. That was something that I could crave again.